What do you want to be when you grow up? A doctor, a nurse, a conductor, an astronaut, a magician! 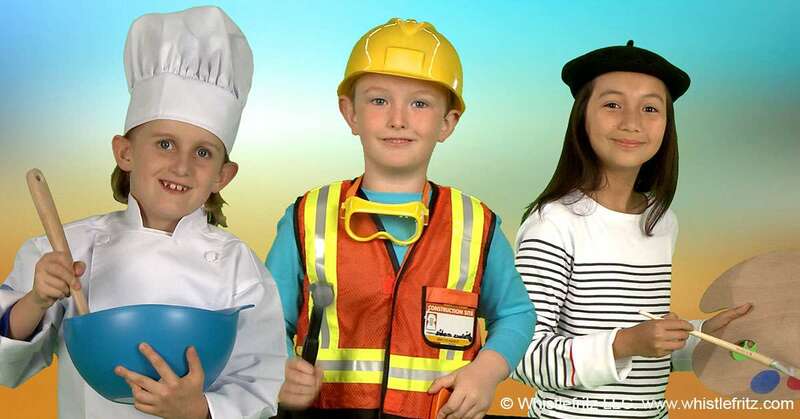 This engaging children’s song teaches different jobs in French. It’s also a great opportunity to play dress up. The song is from Whistlefritz’s CD ALLONS DANSER! Song “QUAND JE SERAI GRAND” from the Whistlefritz CD ALLONS DANSER! Un vrai pompier, je serai.